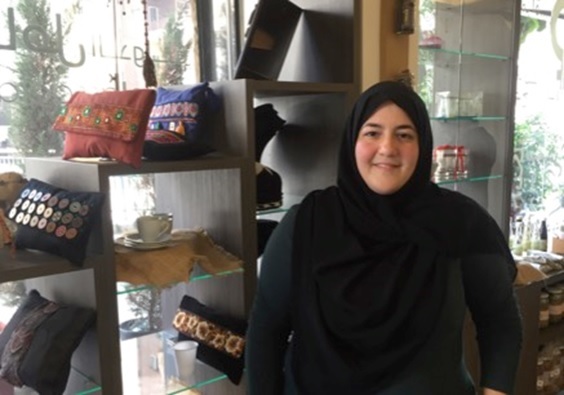 The Committee on Social Inclusion and Participatory Democracy (CSIPD) of United Cities and Local Governments (UCLG) met Hiba Kassir Kchour, Livelihood coordinator from the Amel Association International, a non-sectarian Lebanese NGO, working since 1979 to support all people in need. The organisation is currently operating through 24 centres across the country, such as in Beirut and Mount Lebanon, South Lebanon and Bekaa. The country faces political difficulties and socio-economic fragility; it is currently the country with a largest number of refugees per capita. Actions carried out for the inclusion of all vulnerable groups are therefore aimed at promoting Human Rights and focusing on social cohesion and harmony in the country. Since the beginning of the war in Syria (2012), Lebanon is confronted with a refugee crisis that entails new challenges. Amel has emphasized the importance of dealing with the increase of inequalities by covering basic needs and creating equal opportunities for all. The association has established strategic plans that make primary health care, access to education, child protection awareness sessions, training and livelihood empowerment available for refugees. “In Lebanon, it’s difficult to face the daily Human Rights violations by the law. This is why dialogue between people is our way to act. But most of the time, you can’t convince and dialogue became the border for our work. We are not coming to teach communities with their own tradition, through training and information; we attempt to make people apply the values of Human Rights” explained Hiba Kassir Kchour. In Amel centres, all people can be assisted in programs and projects and find a place that protects them from all forms of discrimination. One of these programs is The House of the Human Rights (AHHR) located in Beirut. This space for solidarity is dedicating part of its action in Vocational Training and Human Capacity Development. Amel’s strategy is to train activists and workers disseminating the benefits and values on citizens’ rights, including migrants and refugees. There is also an annual Summer School on International Humanitarian Law available for two weeks classes. The association is encouraging the youth to improve personal abilities to develop skills spreading the culture of rights. The Protection of Migrant Domestic Workers consists of giving support to employees, raising awareness for their rights, and proposing activities and workshops. The Empowerment Now project, funded by Regional Development and Protection Programme (RDDP), targets young people and women. Women empowerment is thus seen as an essential work area for Amel. The Gender Program puts emphasis on economic independence and social recognition for rural and refugee women. In collaboration with the United Nation Population Fund (UNFPA), the project Girls Not Brides is raising awareness for ending early marriage and encouraging girls and families to choose education. Through peaceful tools, Amel Association has accomplished many achievements, treating people equally because they gained the trust of local population. By protecting children, empowering young people and women as well as supporting migrants and refugees, the association is promoting intercultural dialogue based on solidarity, connecting people regardless of their colour, nationality, religious or political affiliations. Lastly, Amel, as part of Habitat International Coalition Human and Land Rights Network has coordinated the project Sanctuary in the City that gathered different stakeholders to protect universal Human Rights of migrants. After a series of workshops and other survey tools, the project captured the expressions, principles and experiences of local governance amid the refugee/displacement crisis, seeking to channel the experience of refugees, civil society and local authorities by expressing operational principles and allows people in Beirut to identify what works and what could work better. One outcome of the project is the draft of a local charter that gives voice to this community of practice among the world’s cities that are facing comparable challenges.